It’s the start of a new year and a perfect time to look back and see how your business performed. There are several factors legal and conveyancing firms should consider in measuring success, but here are three stats everyone should be measuring. 1) How many cases/matters did you have? Without clients, you don’t have a business so it’s important to know how many new cases or matters you obtained each month. Keeping track of this figure is vital to determine whether you have a consistent flow of new business and a healthy new client conversion rate. Analyse each month by comparing your numbers with past months and past years. You may start to see trends and determine whether you should adjust how much time and effort you put into business development. 2) Who referred new matters to you? After calculating the number of new matters, you need to know where the new matters came from. The number one source of new business is referrals from clients. Nonetheless, tracking the source of all your new matters allows you to determine how other referral sources are performing. If you invested in print ads, website updates, or social media ads, you should be tracking the return on your investment. Depending on your practice and geographical area, local print ads may provide you a greater return on investment compared to social media. This statistic and tracking back to your referral source allows you to spend your marketing dollars wisely. 3) Which practice area had the most matters? If your business deals with more than one practice area, you want to know which ones were the most active. Having knowledge of which areas are most active during a particular month or season will help you create a marketing strategy for months leading up to it. For example, if you notice that you consistently have more conveyancing work in May, you may want to start targeted marketing in the months of March or April. How can you track these metrics? Imagine coming into the office in the morning, clicking your mouse and being able to view the statistics described above — in seconds. 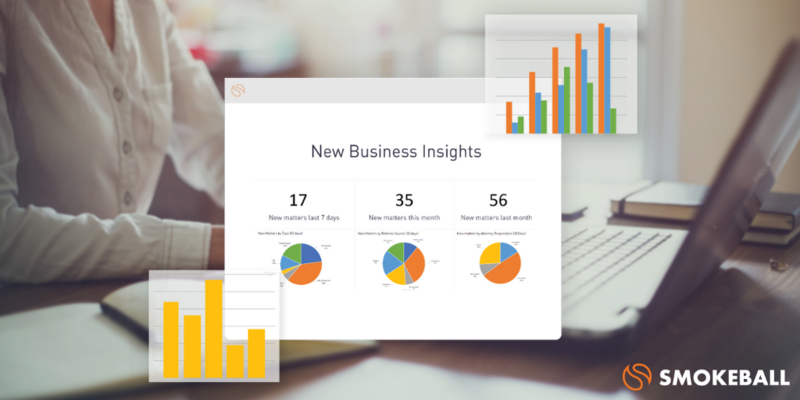 With Smokeball’s Business Insights dashboard, you can view this data (and more) in an instant. With Smokeball, you can view the health of your business using Firm Insights. Firm Insights provides you a dashboard to view reports generated from data obtained through the businesses use of Smokeball. By using Smokeball, your activity and data is collected and analysed in real-time. Find out more about how Smokeball can help you track your performance and make objective informed decisions about your firm at our upcoming webinar How to Make More Money in a Slowing Conveyancing Market. 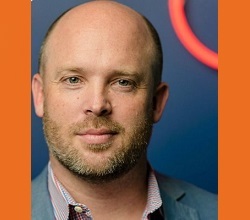 Hunter joined Smokeball in 2008, and five years ago was appointed to Chief Executive Officer, responsible for running both the Sydney and Chicago offices. 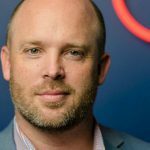 With over 16 years’ experience in building legal software, Hunter has a proven track record for pushing the boundaries and delivering innovative software solutions. He holds a Law and Computer Science degree from Bond University.